June saw us travelling to Italy to spend a couple of weeks touring the Lakes. Here is a shot looking up lake Como from Villa Balbianello, a familiar location for movie makers. 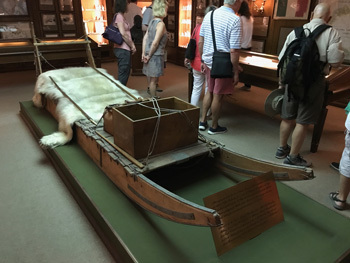 In all we visited Lake Garde, Como and Maggiore plus a day trip to Lake Orta. 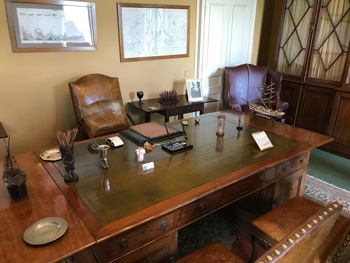 Here we see Count Guido Monzino's desk at villa Balbianello and the sled that took him to the North Pole. He was an avid explorer who restored the villa to how we see it today. 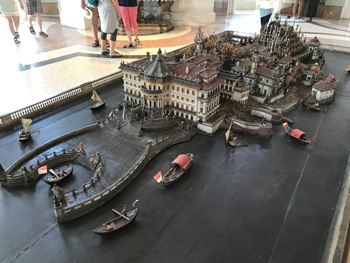 A model of Isola Bella, the island of the Borromeo family, famous for its gardens. Definitely worth a visit. 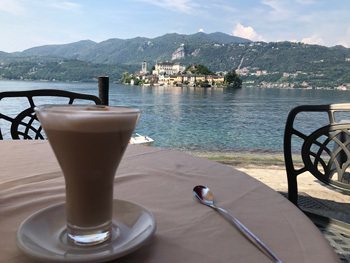 Enjoying a latte machiato with Isola San Giulio in the background.